After a winter of BIG snow, taking walks in and around the mountains in the French Alps in April shows me a very different looking landscape. No longer am I greeted with a white-out with glimpses of Conifer green, when I look closely I now see the flora of the Alps emerging. The flowers are making an appearance from the depths of winter. The last month has seen the thaw start. What were once paths and slopes that were coated with 2 metres of snow and blasted by bitter winds and freezing temperatures for 3 months, are now alive with new life. The snow has melted to reveal brown and dead grasses and leaves. 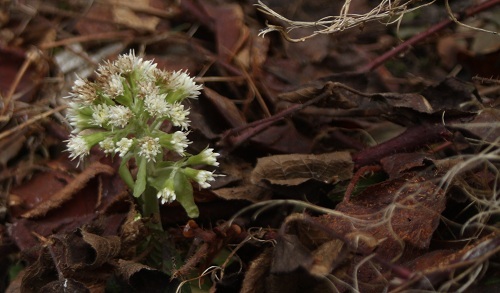 And in the space of a 2 weeks flowers are emerging on the sunny slopes. Life is literally springing forth. Colour is returning. My winter walks are now Spring walks. The woods are alive to the sound of busy birds chattering. The crunch of snow underfoot has receded to a soft springy foot-tread. 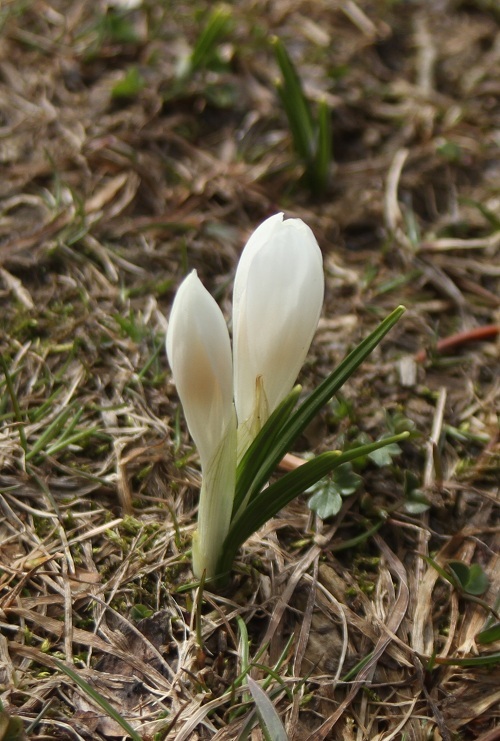 Warmth from the sun and longer days bring wild Crocus. Water is running freely, no longer suspended and frozen. The sound of water rushing in brooks and streams competes to fill the air. Winter has almost gone, a few late snow falls and flurries replaced with sun and rain. The air has a dampness of earth and water to it. You can smell the fresh green of Spring. 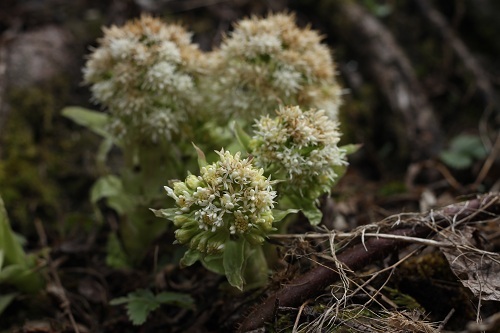 My winter in the French Alps is nearly over, to mixed emotions, watching the snow recede and melt to watching the renewal of life. Home is calling, a few days skiing in Spring snow are left, some goodbyes to be said, lots of packing and sorting. But for now, the flowers are the stars of the show. The cold is a dry cold, what we have in the UK is what I call a wet cold which seeps into your bones and muscles. So bizzarly enough it’s a different kind of cold. And besides I wear so many layers!!! It definite looks like spring has come in your area. Beautiful pictures of the harbingers of spring seen on your walks. We almost had snow again today … it ended up as snow but it was a very cold night/morning. Would you belive it but it snowed last night too, and I only took the photos on Monday! I guess it’s proper Spring weather warm one minute then cold and wet the next! 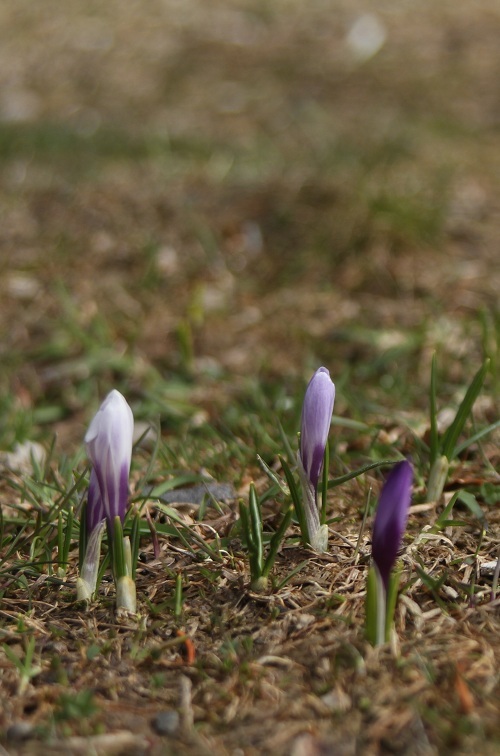 The last time we were in Europe during the spring, one of the prettiest sights were the wild purple crocus nearly carpeting the floors of a sparely wooded area we passed by. One man’s weed is anothers , well whatever you wish really!! We’ve taken a break, we decided a while back life is too short and what the heck 🙂 We’re not retired yet (I wish I was though!!) so it’s back to work, or in my case back to creating some work (self employed), oh the summer is going to be busy! 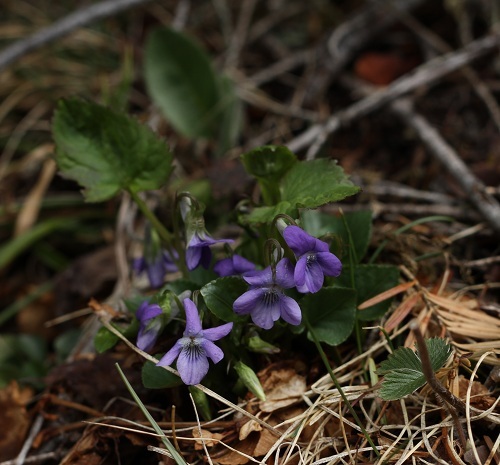 I like those tiny … violets? And the first photo of the yellow flowers. Here we have the uniform gray of April showers cut with acid green leaves on the trees. Yes I think they are violets, so tiny and pretty. It’s one thing I really can’t handle well and that is grey skies, they simply flatten me. What a beautiful spring wander you shared with us. thank you. How wonderful.. you must have snaked along that trail on your belly! beautiful shots, great angles, how is your arm by the way!? he he, yes I wore my ski trousers so I wouldn’t get too cold and wet!! Luckily some of the flowers grow on banks so I could lean over with my walking stick and snap away at a more convenient angle. The arm, healing brilliantly – the muscle damage will take months, but I can waggle my arm around happily just like the idiot that I am! Beautiful, and the violets are so sweet and one of my favorites. They are so delicate, and you really have to look closely to spot them hiding in amongst the grasses. It sounds so lovely.. those gurgling springs.. and I love those crocuses, can’t wait to see them sprout up here! Oh you must be wishing that day forward!! But having just written a post about Spring it’s snowed again here…..
Ooh, mixed emotions indeed. But what an experience you have had along the journey. Beautiful shots of the flowers…your garden awaits you! I’m looking forward to the new growing season, so much to do – I’m really behind this year, but nature has a great way of playing catch up! Enjoyed that wildflower walk…so relaxing. You are right the Spring walks are relaxing, it’s warmer so you can stop and ponder regularly – no need for brisk walking to keep warm! So lovely…photographing Early Spring requires getting down and dirty. you are on the money Marie, down and dirty was the mot juste!! We had an extremely mild winter here in central Pennsylvania, USA. So we had a very early blooming season. Beautiful photos! Thank you for popping in, I think Spring is one of my favourite times of year – all the renewal and colour that bursts forth. Me too! It reminds me that we’re alive. Hi Nia, and thank you – the colours are a refreshing sight after the big white of winter. I’m imagining a Turkish spring is beautiful, I’ve been fortunate enough to visit in May and I adored it! All such beautifully, even poignantly, delicate flowers in your photos today! I think the violets are one of the most tender and lovely floral portraits I’ve seen. And as usual, I love the sensory evocations that make me feel I’m right beside you on your walks. I love the woodland violets! Lovely photos, Claire! I can feel spring in your post. The flowers are nothing short of amazing, after so much snow. Hi deb, nature is remarkable. There they sit, dormant fo rmonths in frozen soil to emerge when the days ar elonger and warmer, so clever! There is nothing quite lie a walk in the mountains in the spring time. Beautiful! 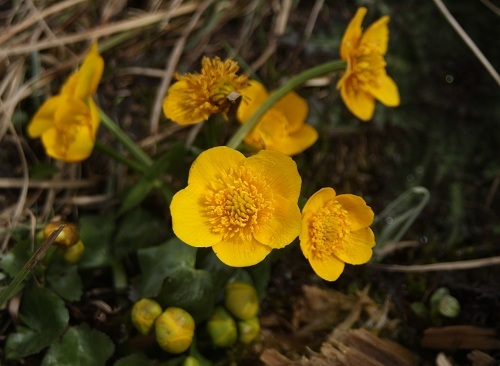 Thanks Alison, its been a remarkable experience to see the start and the end of the winter season here, and these wild flowers emerging after months of freezing temperatures are a great image of the end of the winter season. i never imagined the Alps as anything but white, year round! Thank you for the education—Great post!